Nature Art Woodland Landscape Oil Painting Vermont Fairy Trees Original Art by Laurie Rohner. 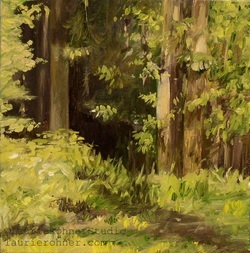 Woodland Vermont landscape oil painting on canvas of Forest Fairy Trees hand painted nature art by Laurie Rohner. 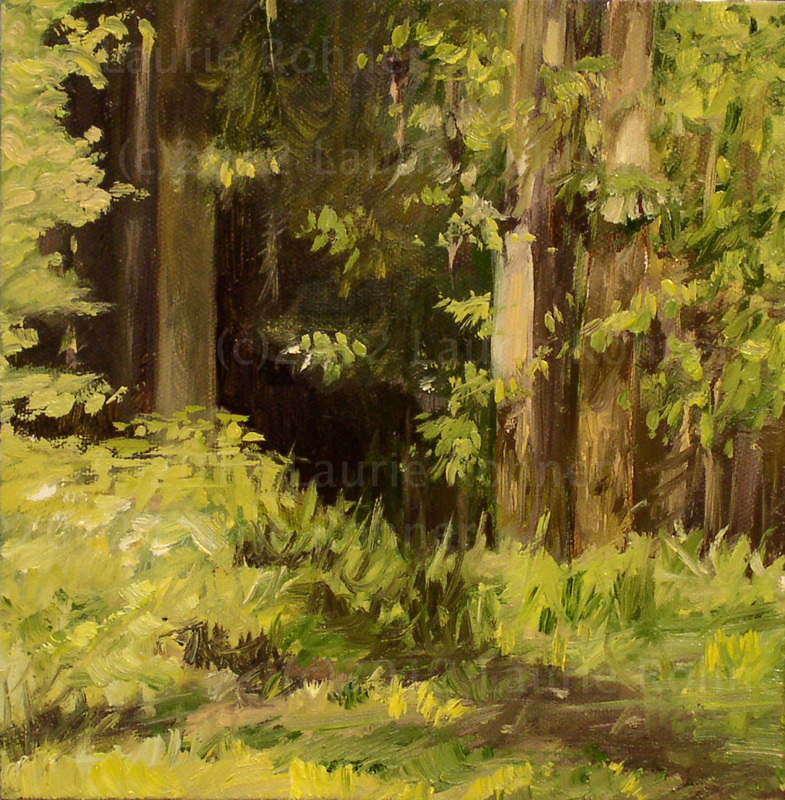 This original artwork give you the viewer a look into the landscape of a serene enchanted forest where fairy play. 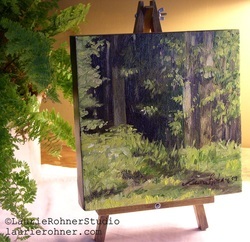 Inspired by the Impressionist style, my original oil painting shows a wooded landscape opening filled with ferns and sweet tall grass and surrounded by lush scented pines and spruces. It was a special place I would walk to in Vermont. Palette: umber,dark chocolate, green, yellow green,browns. The painting measures is on a gallery wrap canvas (1.25" deep) with staples on the back. This paintings is beautiful color and a great finish from high quality oil paints. The staple-free sides of the canvas are painted. The edges are painted a rich chocolate to resemble dark wood. The painting is varnished. Ready to hang or perch on a shelf or small easel. I ship everywhere. See shipping policy for more information.